Gathering Orthodox hierarchs from around the world, the Holy and Great Council of the Orthodox Church wrapped-up on the Greek island of Crete on June 26. In the works for over a century, the event was historic to say the least. But what did it accomplish? Our Sunday Visitor spoke with His Eminence Metropolitan Kallistos (Ware) of Diokleia — renowned Orthodox theologian, based in Oxford, England, and invited member of the Ecumenical Patriarchate’s delegation at the council. Metropolitan Kallistos shared some of his insights on the meeting and the next steps to bringing about stronger unity within Orthodoxy worldwide. Our Sunday Visitor: Your Eminence, how was the Holy and Great Council successful? Metropolitan Kallistos: The first and main reason is quite simply it was a success because it took place …. I say that because there had not been a council of this kind in the recent history of the Orthodox Church. Some people would say that this is the first time since the seventh ecumenical council [Second Council of Nicaea, 787 AD] that a meeting of this caliber has taken place. So it was a major step forward that after lengthy preparation at last the Holy and Great Council did actually meet. But then we would have to set against that a matter of regret, that all the 14 Orthodox Churches did not send delegates … the Patriarchate of Antioch, the Church of Bulgaria, the Church of Georgia, and, most significant of all, the Church of Russia. So we cannot actually say that this meeting was pan-Orthodox. Some people said, and this was my opinion at one point, that if these four Churches were not coming, and particularly if the Russians were not coming, then the whole event should be postponed. But the Ecumenical Patriarch took a different view. He felt that to postpone the meeting after all the preparation would be a very negative gesture and that the event should go ahead. And in retrospect, I’m quite sure he was right. … My hope is that this will be the first in a series of meetings … in 10 days we cannot expect the Orthodox Church to solve all its problems, and I hope there could be regular meetings of the Holy and Great Council, perhaps every three years, perhaps every seven years. … So I think we should think it not in terms of an isolated event, but of a process. 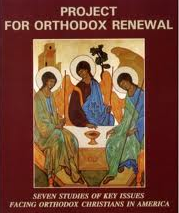 OSV: Were any changes made to the preliminary documents at the council that would make a practical contribution to a renewal of the faith lives for Orthodox Christians? Metropolitan Kallistos: To a limited extent, yes. I say limited because what we were asked to do was to ratify preparatory documents, and I, along with many others, wasn’t very satisfied with these preliminary documents. But there was really no opportunity at the council to have an extensive rewriting. And so, yes, changes were made. I don’t think they were always highly significant. To mention one change, which in my view was important, in the preliminary document dealing with marriage the question of “mixed marriages” [a marriage existing between an Orthodox and non-Orthodox Christian]was mentioned, and it was said that in the case of mixed marriages that the children should always be brought up Orthodox. Now that stipulation was deleted, and I think it was sensible to say that in the end we have to leave this to the conscience and decision of the parents, rather than make demands before people are married. OSV: What were some of the biggest highlights? Metropolitan Kallistos: The two most important documents considered by the council were, first of all, the relation of the Orthodox Church to the other churches. And the second point would be the document on the Orthodox diaspora — the position of Orthodox living outside the traditional Orthodox countries. Those are the two most important documents.The one in relation to the other churches begins with a very uncompromising statement to the effect that the Orthodox Church is the one, true, catholic, apostolic Church. Now, of course, Catholics would make a similar claim, though they have modified it by saying that the one, true, catholic Church “subsists in” the Roman Catholic Church today [cf. Second Vatican Council, Lumen Gentium, No. 8]. Well, we don’t say “subsists in,” but that statement was to be expected. However, the document on relations to other churches does continue, in positive terms, to commend the different dialogues that are in progress. That would be particularly the bilateral dialogue between the Orthodox and the Catholics — that would be the most important one — but we have a number of other bilateral dialogues. … So there were positive statements in the document on Orthodoxy and other Christian Churches, but some Orthodox took a very rigid line. The Church of Greece proposed that we should not call non-Orthodox bodies churches, (but) that we should call them communities. Well that was rejected because we said for a very long time we have referred to the Roman Catholic Church, to the Anglican Church and to other bodies as churches. … To refuse to call them churches at all — this we rejected — … would have been a very negative step. OSV: How do you think that the document on relations of the Orthodox with other Christians will be taken by Moscow? Will they have any appreciation for that, considering their reaction to the 2007 Ravenna Statement of the Catholic-Orthodox dialogue on papal primacy? Metropolitan Kallistos: This is paradoxical. Let us recall that around the year 1970, the Russian Church even made a declaration that if Catholics approached for Orthodox sacraments they were not to be refused. But, well, there is a pastoral reason for this. In the main area of the Soviet Union, there were only four Catholic Churches open at that time, in Moscow, St. Petersburg, Kiev and Odessa. So many Catholics would have lived thousands of miles from any open Catholic Church and would hardly ever have the opportunity to receive communion, and the Russian Church said in that case … they are not to be refused. Now other Churches like the Church of Greece forbid this, but they were not faced with the same pastoral position. At one time, the Russian Church was among the most open to the Catholic Church. That, I’m sorry to say, has changed. I think that the Russians, having not attended this meeting in Crete, will do the same as they did over the Ravenna statement when they were not present: that they will say they don’t accept our decision. Well that means we must hold another Holy and Great Council to sort that out. But we just have to wait and see. OSV: How did the participants of the council receive and regard the meeting of Pope Francis and Patriarch Kirill? Did that meeting have any impact on the fact that Moscow decided not to attend? Metropolitan Kallistos: No, I think it’s not related directly, and not much was said about this meeting with the pope and Metropolitan Kirill, though I think this was highly significant because in the past the pope has wanted to visit Russia, and the Russian Church has said, “no this is not the right moment.” This would seem to open the door to further meetings, and I would see this as a very important occasion. …What the problem is, in my view, is not directly to do with the Catholic Church. It is the rivalry between Constantinople and Russia, and particularly the reservations that the Russians have about the claim of the Patriarch of Constantinople to have the first place in the Orthodox Church … they want to limit his primacy. So I think really this is a problem of dispute between Moscow and Constantinople. I hope that something can be done to have a further Holy and Great Council in, as I said, the not too distant future, and to get the Russians to come. OSV: So, regarding next steps following this council, where were things left? Metropolitan Kallistos: I don’t think we set up any specific planning commission, but that needs to be done by negotiation with the Russians. But clearly we do need to have such a planning commission, as we need to consider how far we have applied the practical points in the different declarations. 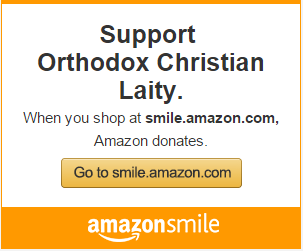 Other items we didn’t discuss this time around, which we ought to discuss … particularly, I would like to see the whole question of relation to non-Orthodox Christians carried further. OSV: How would those discussions begin? Would Constantinople initiate? 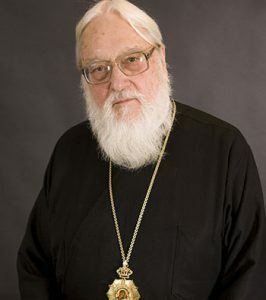 Metropolitan Kallistos: I think that would require Constantinople to take the initiative, and to say [to Russia]“this is what we agreed at Crete … do you agree to it? And if you don’t, would you not come to another meeting and we can discuss it?” But I think the danger is that the Russians … will then put out a statement of their own which would be different. OSV: So this could be a lengthy process? Metropolitan Kallistos: Well, it could be. But it could be they could press for a meeting in three or so years’ time. And perhaps the Church of Romania will play an important part here. The Church of Romania does not take sides over any conflict between Constantinople and Moscow. And the Church of Romania, it has to be remembered, is, after Russia, the largest Orthodox Church. Indeed I think if we leave out the Ukraine, the Church of Romania is bigger than the Moscow Patriarchate in Russia itself. And so the Romanians may very possibly play an important mediating role … they’ve even suggested the next Holy and Great Council should be in Romania itself. And this is important to have such an invitation because councils of this kind are very expensive. … But the Church of Romania would be able to bear the cost of looking after 350 hungry bishops for 11 days! But you have to remember that the Second Vatican Council met over a period of four years … for several months at a time. So we can’t expect to settle everything in 11 days. We need much more time. OSV: As a participant in the council, what were some of the challenges of the operations of the council that you noticed? Metropolitan Kallistos: I think the actual running of the council was quite efficient. The Ecumenical Patriarch presided at all meetings, there was not a rotation of chairmanship, and it was quite clear that he intended to keep things closely under control. … Those who wished to speak were allowed to do so, except when time ran out, which it did more than once. They were not allowed to speak for more than 10 minutes. I think they should have said five minutes to allow more people to express their views. … And so I think that the meetings were orderly, and the patriarch kept things under control. Only on one occasion was one Greek bishop so voluble that he had expired the 10 minutes and the Ecumenical Patriarch as chairman asked him to sit down, and he didn’t want to and went on shouting until the feeling at the meeting was so strong that he realized he was not making any friends. … One disadvantage is that we were all put up in different hotels (so) it was very difficult to arrange meetings with people. I felt that we were not able to talk with each other informally as much as I had hoped. Another point was the non-Orthodox observers, with Cardinal [Kurt] Koch [president of the Pontifical Council for Promoting Christian Unity], they were only allowed to attend the opening and closing sessions. … I thought that was a pity. At Vatican II, the non-Catholic observers attended all meetings … of course, they couldn’t speak or vote, but they were there. We should’ve incorporated the observers. Instead they were simply taken off on cultural tours to visit monuments in Crete. Well, they hadn’t come for that purpose, and I think they were obviously somewhat disappointed. I think we shouldn’t have been so closed. OSV: Several participants attested to the Holy Spirit’s presence at the council. Along with that comes the possibility of surprises. Did you feel the presence of the Spirit or experience any surprises? Metropolitan Kallistos: I don’t think there were any surprises because, in the end, all the preliminary documents were adopted, with only minor alterations. So, I didn’t find any surprises. I was frankly disappointed in the level of the discussions. I thought a lot of the contributions were not to the point, and we would’ve been better without them. I felt that after all these years of separation, can’t we do better than this? And I think many other people equally were disappointed with the preliminary documents. But, yes, the Holy Spirit did gather us together. I’m afraid there were some other not-so-holy spirits at work in the council as well. But Orthodoxy suffers from, for many centuries, these nationalist and ethnic clashes, and they weren’t so evident as they might’ve been. Michael R. Heinlein writes from Indiana.